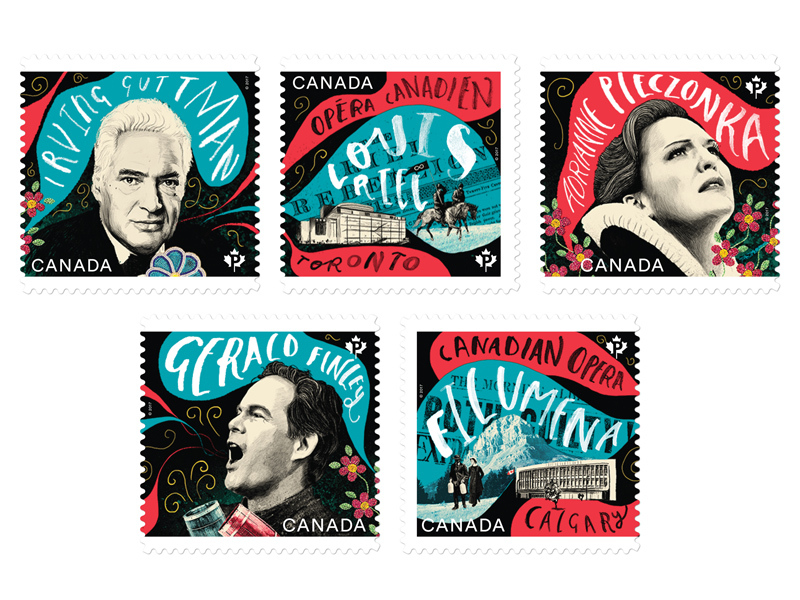 The booklet contains five pairs of stamps, The first three stamps shine the spotlight on award-winning bass baritone Gerald Finley, internationally-acclaimed soprano Adrianne Pieczonka, and late director Irving Guttman, known as ‘the father of opera in Western Canada.’ The final two stamps honour the 1967 work Louis Riel, which romanticizes the life of the legendary Métis leader while Filumena is the tale of an Italian immigrant who was the only woman to be hanged in Alberta. working and living in Belfast. and cultural issues. 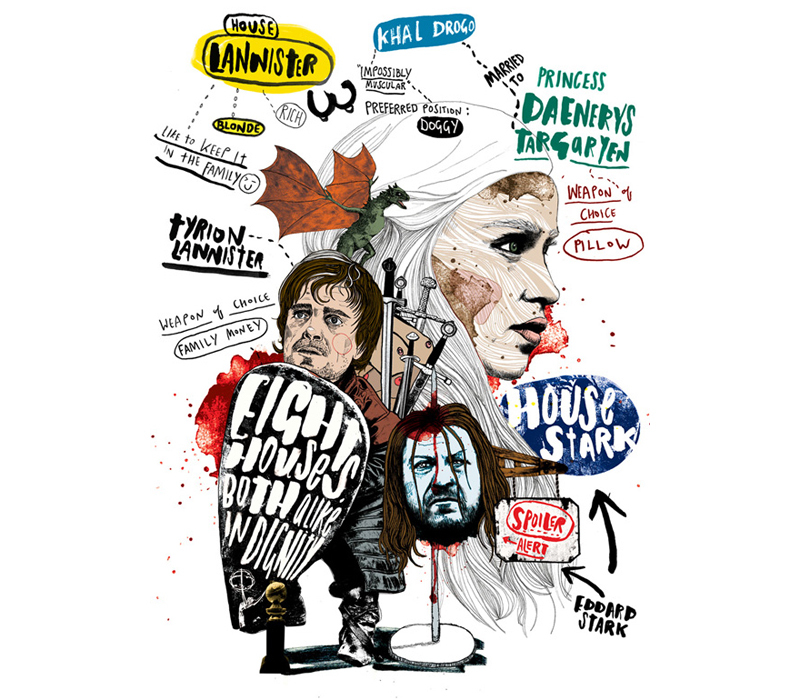 He tackles these with a highly distinctive hand lettering style, bold imagery and humour. 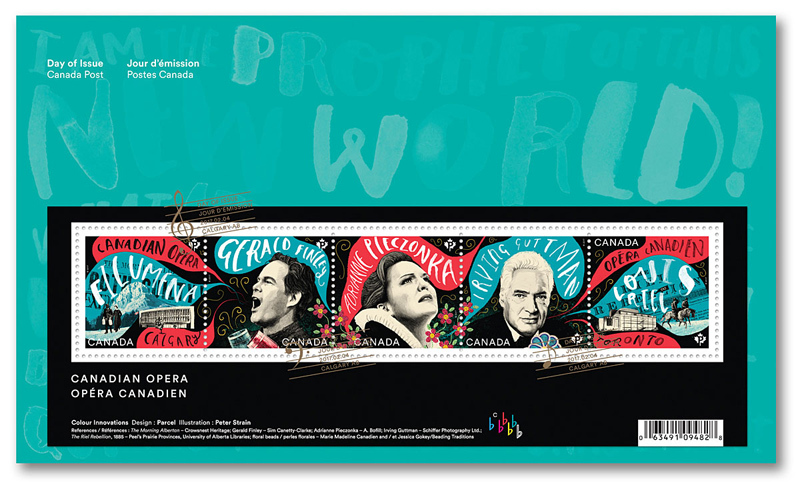 Bold, exuberant and unmistakably creative, the design of this stamp issue on Canadian Opera most assuredly mirrors the art form it reflects. Canadians have long considered traditional opera as entertainment and a connection to European culture. 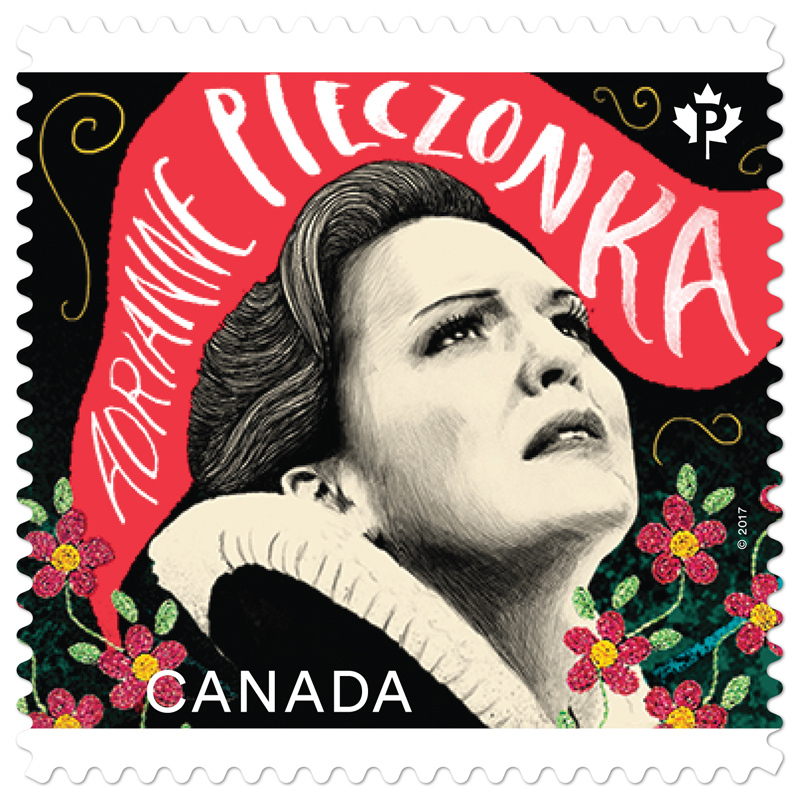 However, it took until 1967 for Canada to produce an opera it could call its own. 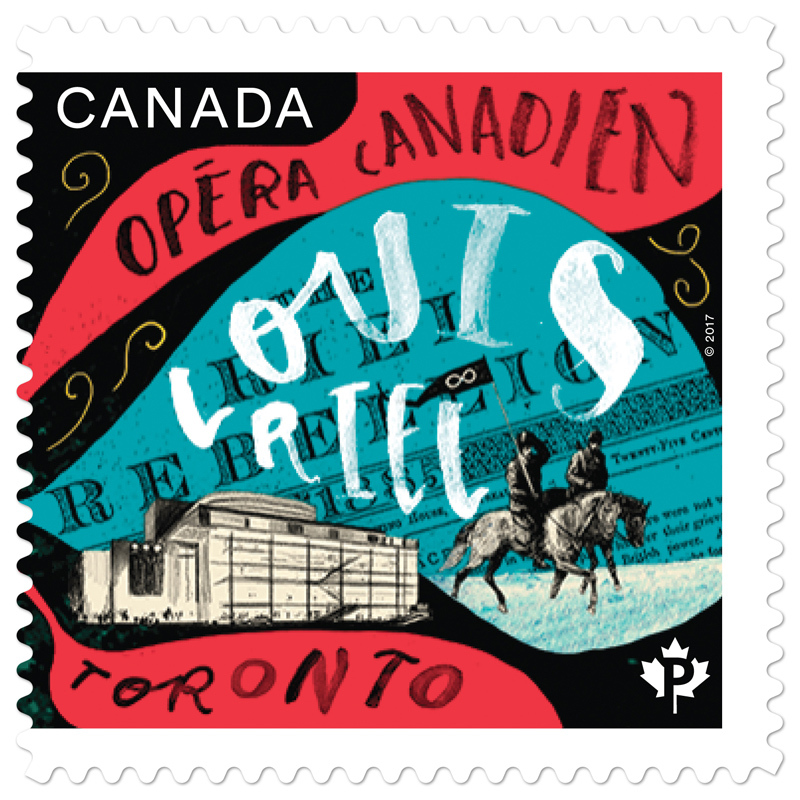 Commissioned to celebrate the country’s centennial, Louis Riel – composed by Harry Somers based on a libretto by Mavor Moore with Jacques Languirand – romanticizes the life of the legendary Métis leader. 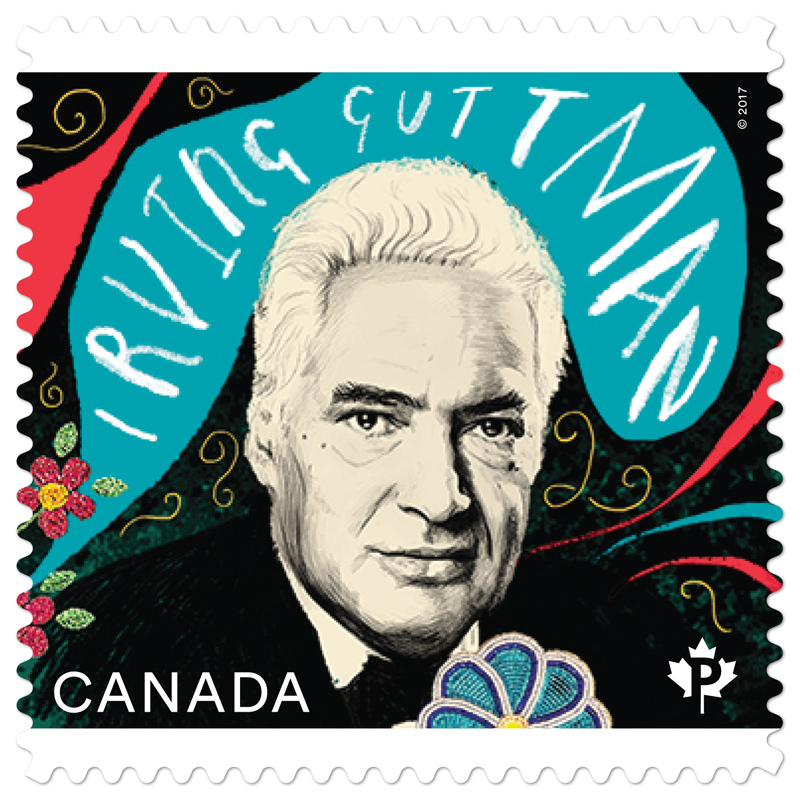 This year, to mark the work’s 50th anniversary, it is being revived by Toronto’s Canadian Opera Company. 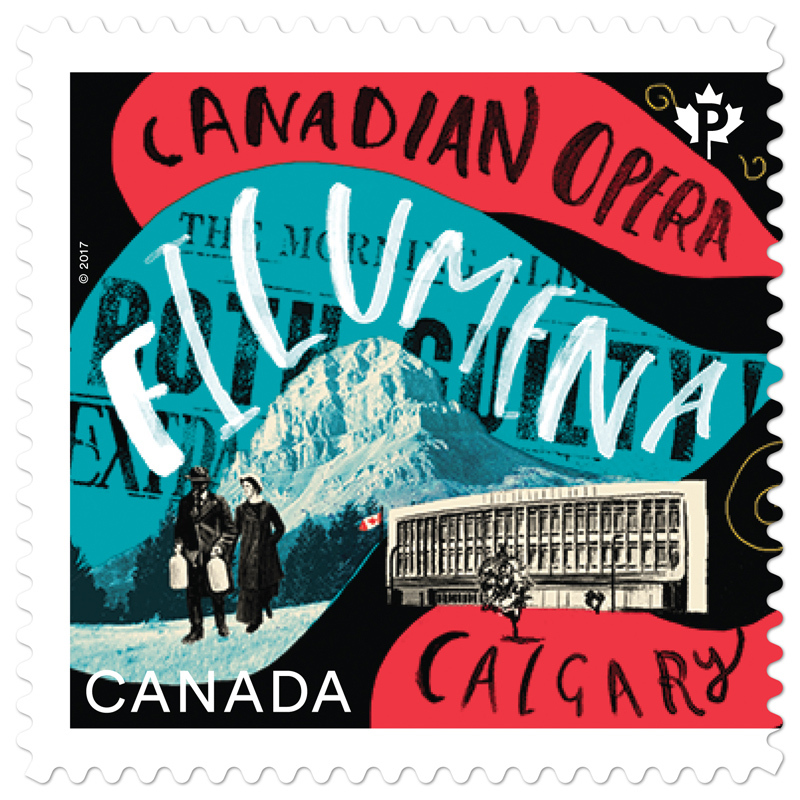 Filumena – another grand homegrown offering, composed by John Estacio with a libretto by John Murrell – tells the true story of an Italian immigrant who was the only woman to be hanged in Alberta. Calgary Opera is to stage it once again, this time in early 2017. 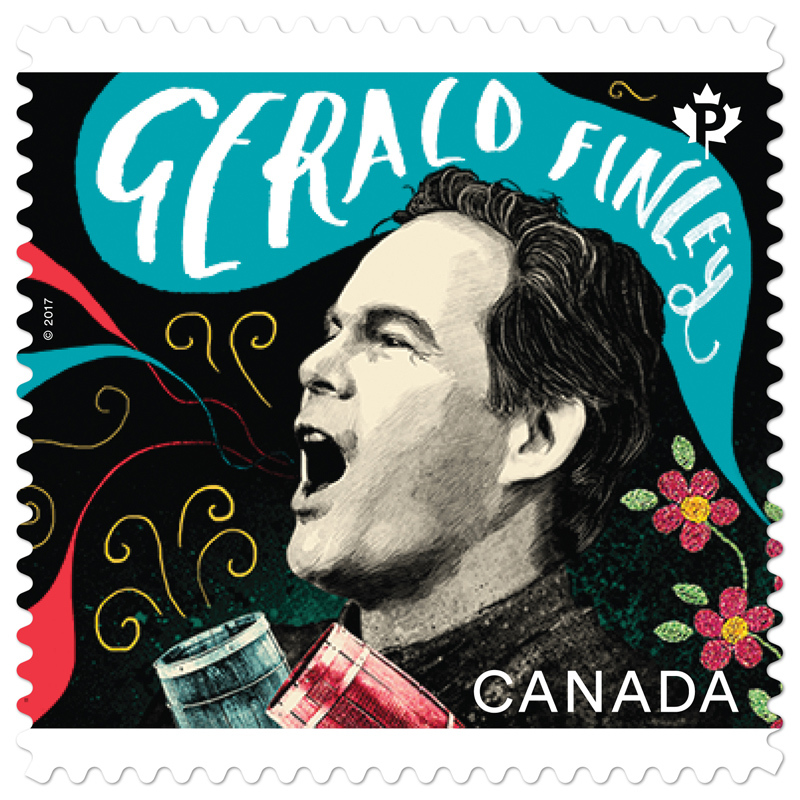 The stamp issue also sings the praises of three talented Canadians: world-renowned performers bass-baritone Gerald Finley, soprano Adrianne Pieczonka and director Irving Guttman, known as the father of opera in western Canada.